The Geuze Cantillon is entirely made with Lambic Beer. 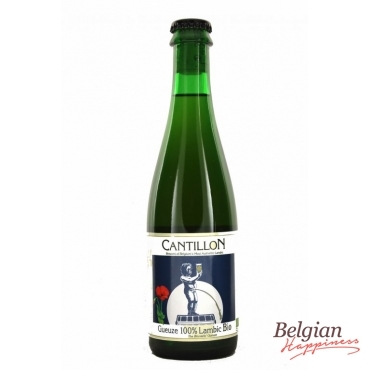 This Lambic is brewed with organically grown wheat (35 %) and malted barley (65 %) and with dried hops. The Geuze Cantillon is a sour beer that contains absolutely no sugar. Classic Lambic Beer with taste evolution.